You're in Denver for the 2010 Great American Beer Festival, but what do you do when you're not wandering from booth to booth on the convention floor during one of the tasting sessions? Seek out more beer to drink, of course. Denver is one of the best beer cities and there are a plenty of breweries, brewpubs and beer bars in the area to visit. 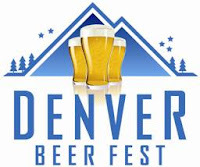 The Denver Beer Fest runs from Sept 10th ~ 19th and their website is great resource for finding beer events by date, type and location. If you want an easy way to find everything and see it on a map, check out the City Beer Map for Denver and surrounding area on The Beer Mapping Project website. Rock Bottom Brewery (Brewpub) - Only a couple blocks from the convention center and on the 16th Street Mall, it makes a great place to meet up and grab a bite before and/or after the GABF tasting sessions. Falling Rock Tap House (Beer Bar) - Probably one of the best beer bars in Denver. Located in the trendy LoDo area, its got a great selection of draft and bottled beer. Wynkoop Brewery (Brewpub) - Colorado's oldest brewpub. Great place to grab a fresh pint and some good food. Great Divide Brewing Co (Brewery) - Stop by their Tap Room for a sample of their beers and take a tour of the only micro-brewery in downtown. The Cheeky Monk (Belgian Beer Cafe) - Great selection of Belgian beers on tap and in the bottle as well as good food. There are also various beer bars and brewpubs scattered around the greater Denver area. The Bull & Bush Pub & Brewery is long time favourite of mine, particularly for the Sunday brunch. If you have a car and a designated driver, you can also take a short road trip to visit some of the breweries in and around Fort Collins (New Belgium, Odell Brewing Company, Fort Collins Brewing) or Longmont (Oskar Blues Brewery, Left Hand Brewing Company) or Boulder (Avery Brewing Company, Boulder Beer Company, Mountain Sun Pub and Brewery). Anyone have any specific events or parties they want to mention? ?